In November 2014, I was five months pregnant and had signed up to attend a book launch event in New York’s Financial District. On the night of the event, I had worked all day and was a bit tired. It was dark, cold, and rainy outside. My husband had just come home from work and my introverted self did not want to go out. I preferred to stay home in my warm and cozy apartment with my husband and dog. I didn’t want to schlep from Williamsburg, Brooklyn to downtown Manhattan (New Yorkers can be travel snobs). And from my experience, when I listened to that inner voice, it usually resulted in something good. It was an intimate group and I got to know Jairek. His stories, teachings, humility and authenticity stood out. In my opinion, he is one of the best coaches around. And that’s not all. Jariek is also an author, speaker, Ted Talk presenter, world traveler – and philanthropist. He is a man on a mission focused on developing creative solutions for accelerating results. His goal is to increase and maximize your overall performance. And because I “just showed up,” on that dark, cold and rainy day, I was able to have him as a guest on my podcast. And when I didn’t give into that voice, something great came out of it. The best experiences are underneath resistance. 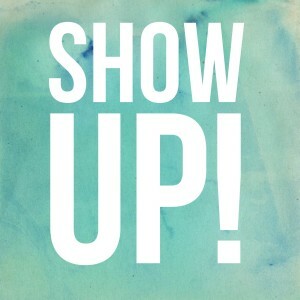 What’s one thing you are resisting that you can take action and show up?